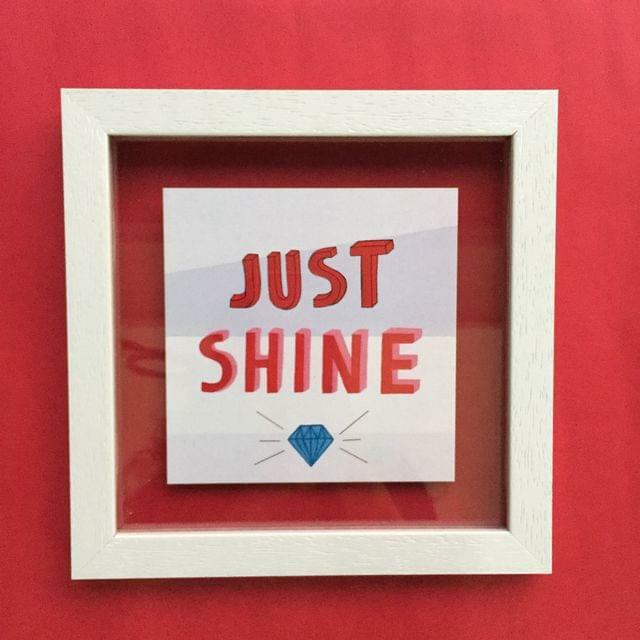 Brighten up your wall or desk with this fun & colourful artsy frame. The frame features an original hand-illustrated design specially created to make any space more vibrant. Specifications: -Frame Size: 8.75" by 8.75" -Artwork Size: 5.5" by 5.5" -Fibre vrame with artwork in between the sandwiched glass -Can be rested on a flat surface and hung on walls This product will be packaged in a cardboard box.